It’s not new to those in the material’s handling and manufacturing industries that there is increasing pressure to deliver goods quickly, while also reducing costs. Although at first driving down transportation costs may seem like an unsurmountable hurdle, there are a few easy tricks you can start introducing today to help you reduce freight spend and overall transporation costs for goods. It seems as though warehouses would either be too full, or have too much open space. Businesses need to find a middle ground of utilising their space efficiently for the effective movement of goods. Maximising your warehouse/distribution space is a great way to start reducing transportation costs, but unfortunately, poorly utilised warehouse space is a common occurrence regardless of inventory type or storage conditions. Many warehouses sacrifice long-term organisation for short-term goals. For example, creating mixed loads to simplify customer processing when goods traditionally ship in full case or full pallet quantities. Increasing storage density by improving vertical storage is a great way to start off reducing your freight costs. Trucks will be better utlitised when your warehouse is organised in a more efficient manner, you’ll be more organised and you’ll have more floor-space to increase storage if needed. It may sound incredibly simple, but something as small as setting a budget for transportation and measuring it’s effectiveness will help you keep track of your spending. Get an understanding of what you’re currently spending down to the granular level, for example, how much does it cost per pallet, SKU, order shipped etc. This will help you figure out how much of a budget you’ll need to set aside for freight. According to Inbound Logistics, one of the first steps you should take when devising a logistics budget is by getting the timing right. Make sure you track your spending at the right time of the fiscal year so you can set the budget against the rest of your business’ operations. It will also ensure you’ll be able to track and align logistics spending with your overall business strategy. Another great tip is to stay up to date on current rates for 3rd part logistics providers, and to set benchmarks for your overall freight spend KPIs. Replacing many of the manual processes in the warehouse can help you reduce staff requirements and save you money when it comes to transporting goods. 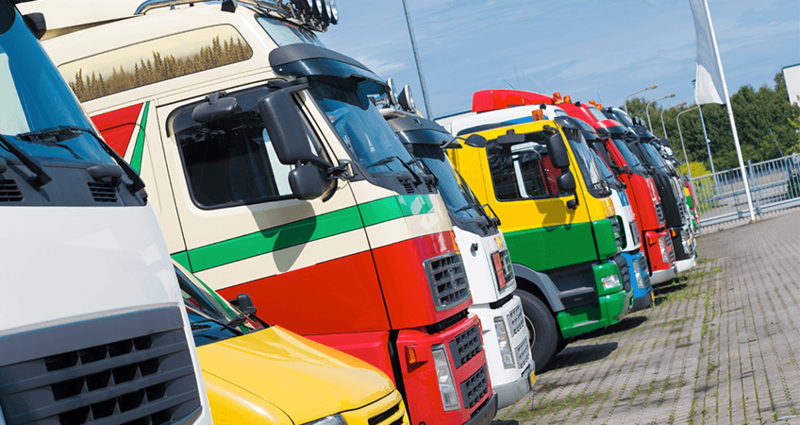 Automating your transportation and logistics systems has a variety of benefits for your business by providing visibility and cost reductions, all while improving customer satisfaction. It may be a good start to audit your manual processes and see how they can be replaced by automation. We covered some of the way logistics automation can save your operators travel time in one of our previous posts, and it’s a great way to reduce cycle time and ensure your customers receive their goods in a timely manner. When automating your processes, it’s important to utilise a system that is can work alongside your business objectives. In some cases, this may require bespoke solutions for your business, and that brings us to our next point. In some cases, suppliers can help absorb direct logistics costs if they are more efficient or skilled in performing the required task compared to if you did it in-house. 85% of businesses, according to Supply Chain Quarterly, believe that outsourcing saves them money. So, why not outsource? If you believe performing the task within your business would be inefficient or cost you more than outsourcing, then look into the suppliers than can perform the task for you at a great rate. In a complex supply chain, there will most likely be some elements that have been outsourced to suppliers. If you’re using a supplier, it’s important to measure if they are reducing costs for you, while also helping you maintain your objectives of being agile and flexible. We hope you found this post insightful. If you enjoyed, register your free Exhibition Pass to CeMAT AUSTRALIA 2018.